Posted December 3, 2018 by Andrea Laford & filed under Headlines, News, Spoilers. 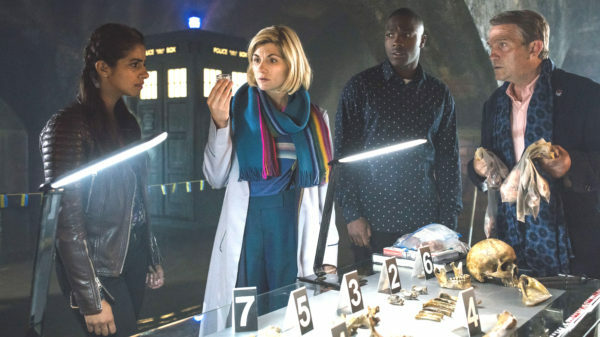 BBC One viewers in Northern Ireland were accidentally treated to the next week’s BBC1NI Continuity Announcement toward the end of the premiere airing of the penultimate Doctor Who Series 11 episode It Takes You Away. While the voiced announcement was a week early, a trailer for The Battle of Ranskoor Av Kolos was shown instead. 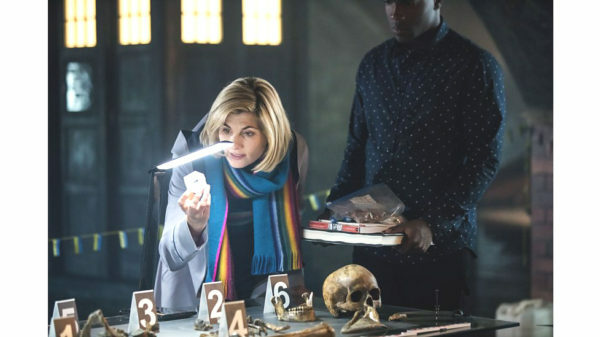 So a clip or a trailer for the as-yet-untitled Doctor Who New Year’s Day Special will air just after The Battle of Ranskor Av Kolos on Sunday, December 9. The Doctor Who New Year’s Day Special airs January 1 at 7:00 p.m. on BBC One. The special will also air 8:00 p.m. on BBC America with a “Who Year’s Day” marathon lead-in.